Unleash your inner leprechaun and paint the town green because tomorrow is St. Patrick’s Day! The apple of your eye will love making a festive St. Paddy’s Day craft that also proves it’s easy being green. Create one or several of our 7 eco-friendly St. Patrick’s Day crafts with your kids. Indulge your little lucky charm’s sweet tooth by baking up these enchanting organic rainbow cookies, or these adorable mini vegan leprechaun cakes! Did you know emerald is the Pantone color of the year for 2013? Celebrate the rich hue year-round with one of these sweet emerald green gifts for your kiddos. A pair of these vegan shoes from tiny TOMS Earthwise collection in a shade of green will put kids on the eco path — and for each pair that’s purchased, a pair is donated to a child in need. For even more food-themed festivities, make clover stamps using a bell pepper, indulge in a healthy shamrock and rainbow meal kids will love, and blend up a delightfully tasty (and healthy!) vegan shamrock smoothie! 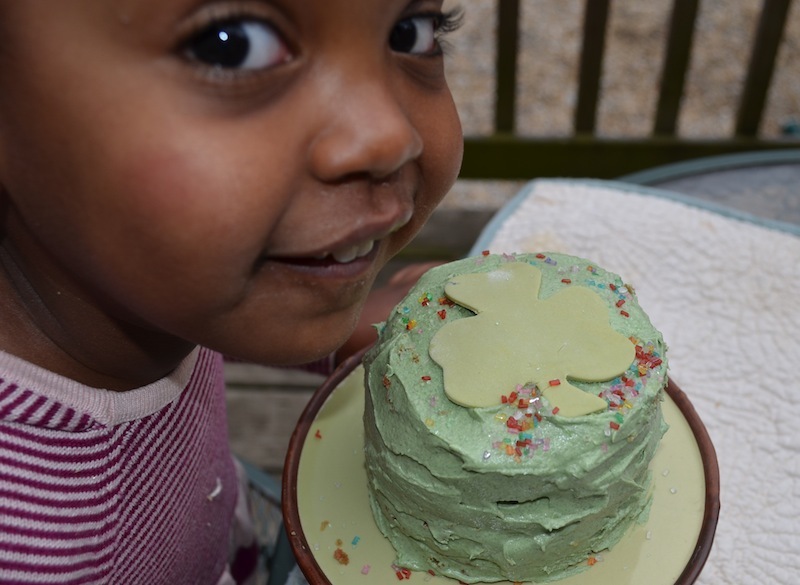 Last Minute St. Patrick's Day Themed Fun for Kids! Unleash your inner leprechaun and paint the town green because tomorrow is St. Patrick's Day! The apple of your eye will love making a festive St. Paddy's Day craft that also proves it's easy being green. Create one or several of our 7 eco-friendly St. Patrick's Day crafts with your kids. Indulge your little lucky charm's sweet tooth by baking up these enchanting organic rainbow cookies, or these adorable mini vegan leprechaun cakes! Did you know emerald is the Pantone color of the year for 2013? Celebrate the rich hue year-round with one of these sweet emerald green gifts for your kiddos. A pair of these vegan shoes from tiny TOMS Earthwise collection in a shade of green will put kids on the eco path -- and for each pair that's purchased, a pair is donated to a child in need. For even more food-themed festivities, make clover stamps using a bell pepper, indulge in a healthy shamrock and rainbow meal kids will love, and blend up a delightfully tasty (and healthy!) vegan shamrock smoothie!